Is Weedingtech looking for new distribution partners? We are always interested to hear from organisations wanting to join our world-class network of partners. Get in touch today to discover the benefits that Foamstream can bring to you and your customers using the contact form. How much does Foamstream cost? Please contact us via our contact form here, or call +44 203 909 0050 to discuss your requirements so that we can provide you with details of our pricing. Alternatively, contact your closest distributor here. Can I just buy the foam? Foamstream is Weedingtech’s patented process therefore the foam can only be used with our machinery – it will not work with other solutions. Where can I buy Foamstream? Foamstream is available exclusively from Weedingtech and via our approved global network of distributors. Contact us via our contact form here or find your closest distributor for more details here. Can Foamstream be used around water courses? Foamstream is safe for use around waterways and delicate ecosystems and is used by water companies around the world. If you’re an organisation working with water, click here to see more about using Foamstream in the utilities sector. For more information on where else Foamstream can be used, click here. What type of weather conditions are needed to use Foamstream? Foamstream can be used in any kind of weather. How many applications are usually required in a season? Typically, weeds treated with Foamstream require just two to three treatments per season (or as little as one if you’re treating moss and algae). This means that it delivers the lowest cost of ownership for users. By comparison, a hot water system would require between five and seven treatments per season, and a minimum of two for moss and algae. How do you apply Foamstream? Foamstream can only be applied using one of our delivery systems. Watch our process video to show how Foamstream works here. How much training is needed to use Foamstream? Foamstream is simple and easy to use – no certification is required. Training is provided and there are a large number of guides and videos available to assist operators, should they need. The active ingredient in the Foamstream process is the heat in the hot water. The foam simply acts as an insulating blanket over the top of the hot water, ensuring heat is not lost to the atmosphere. Foamstream Clean was developed to give customers more value from their machines. Our range of cleaning lances enables customers to use their systems not only for vegetation control, but also for a wide variety of outdoor cleaning and sanitisation tasks. This means the capital cost of Foamstream can be spread across multiple departments and organisations. 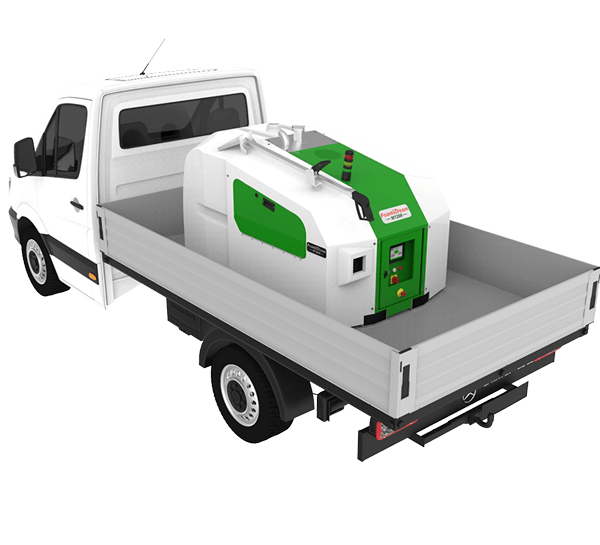 Which machine should I buy if I want to do both vegetation control and street cleaning? Our range of Foamstream machines are designed for multi-functional use. We ensure customers get the most from their machines by engineering a product range that helps with as many green and urban space management tasks as possible. 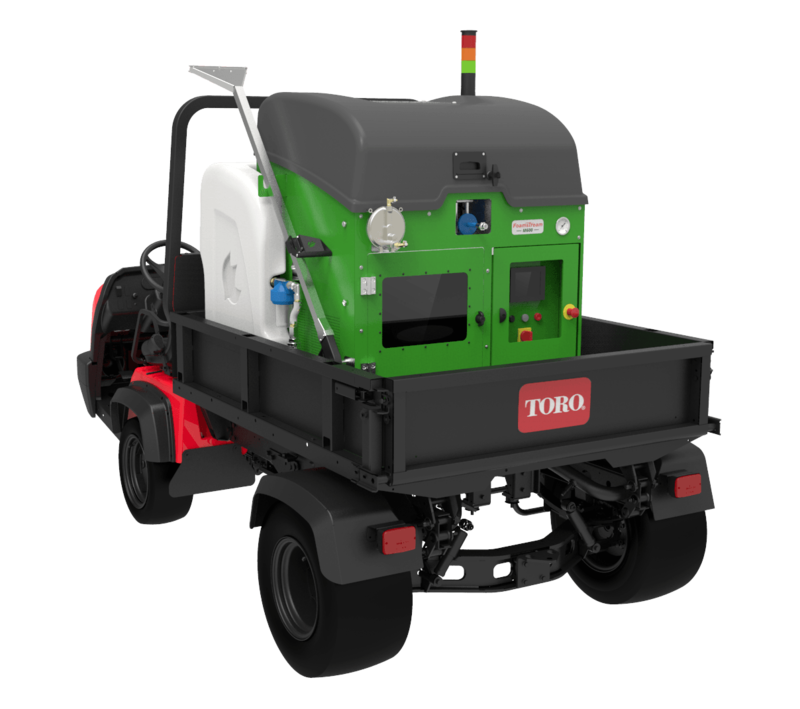 All our machines can be used all-year round for vegetation control and street cleaning tasks such as gum removal and power washing. Which machine is suitable for my requirements? The Foamstream M1200 and Foamstream M600 were both built to provide the best possible herbicide-free solution for outdoor space management. The Foamstream M600 is a compact, lightweight system well suited for use in built-up and noise sensitive areas. The Foamstream M1200 is a high performance system, ideal for use on all types of large and open areas. For more information, or to discuss your requirements with one of our team, please get in touch here.